The Sandridge Motel in possibly the very best position in Lorne. 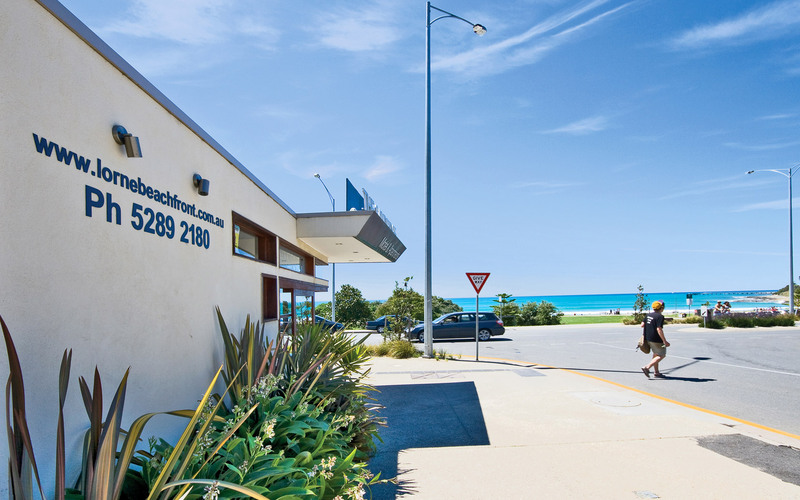 Right in the heart of town and directly across from the main surfbeach. We can boast 180 degree views from the Lorne Pier right around to Aireys Inlet. We have a range of accommodation styles to suit a range of budgets and travelling needs. Whether it is for a travelling stopover or extended holiday stay Sandridge Motel has an accommodation style to you. CLICK THE YOUTUBE VIDEO BUTTON TO BE SHOWN VIDEO FOOTAGE OF THE SANDRIDGE MOTEL.